Enjoy unparalleled quality and endless style with the Fleurco Aria Voce 55 Bathtub. Deep, roomy interior allows to enjoy an extra space and turns the bathing into a truly delightful therapeutic ritual. A high gloss acrylic material is extra durable, easy to clean, and comes in a crisp white color. This luxury bathroom item also features a preinstalled drain and overflow in a polished chrome or brushed nickel finish. 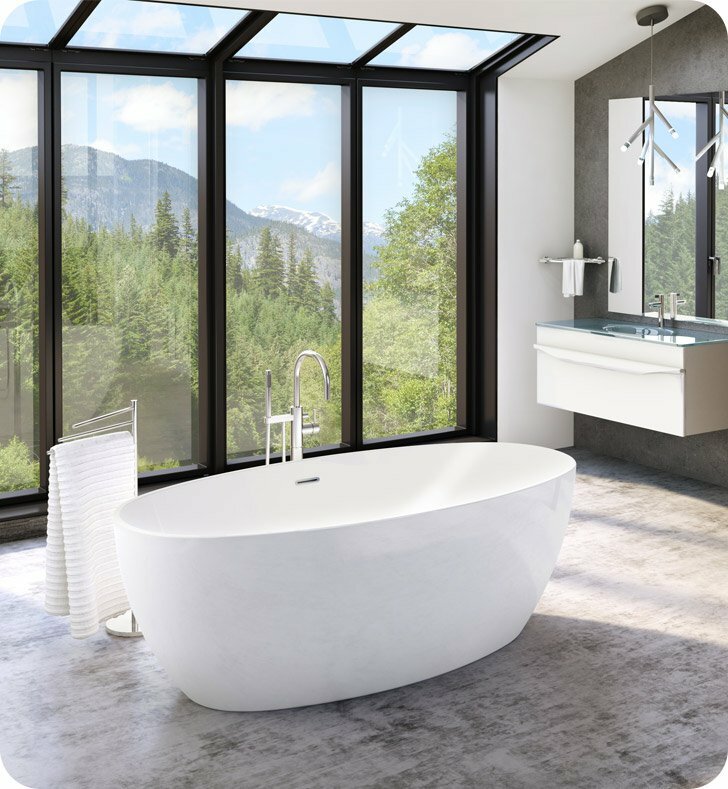 Pure lines and contemporary oval shape of this freestanding bathtub make it an ideal solution for your master bathroom makeover. Dimensions: L 55 1/8" x W 31 1/2" x H 23 5/8"